I noticed a new (for me) store on one of the feeds and I thought it worthwhile investigating. I can’t remember which blogger posted it, so I apologise for no acknowledgement! And lastly, the Cappucino Ribbon dress – elegant in its simplicity. In all these photos I am wearing hair from Magika, the Friday style which is fairly new. My skin is from the new KIKO range by Ugly Duck. 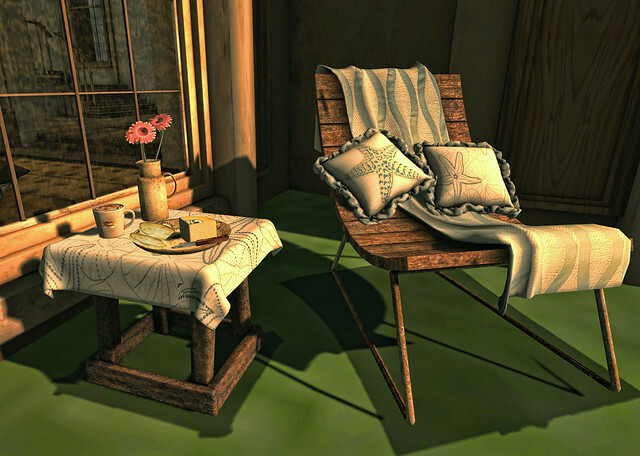 I took these photos at the Trace sim, which is quite lovely and coastal, you should visit!